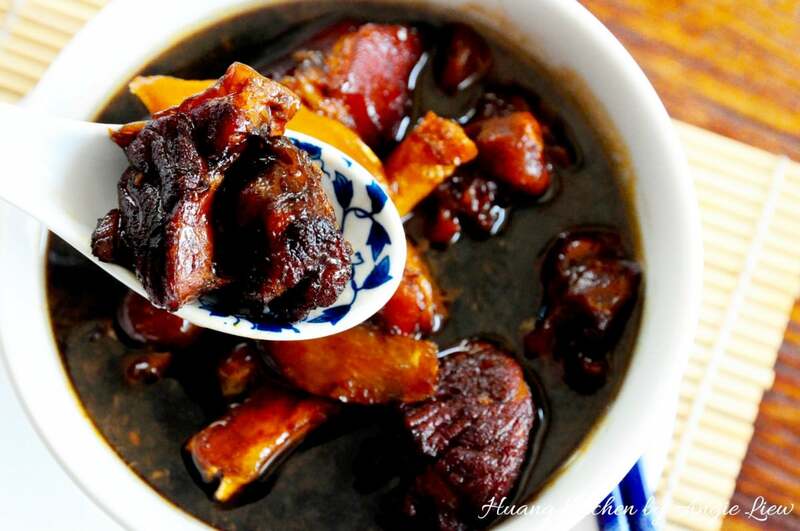 Black Sweet Vinegar Pork Trotter is a traditional Chinese dish often cooked as a confinement food. The Chinese believes that this dish would boost post natal immunity for women during confinement. Nevertheless, it is now a common dish enjoyed by everyone in the family. 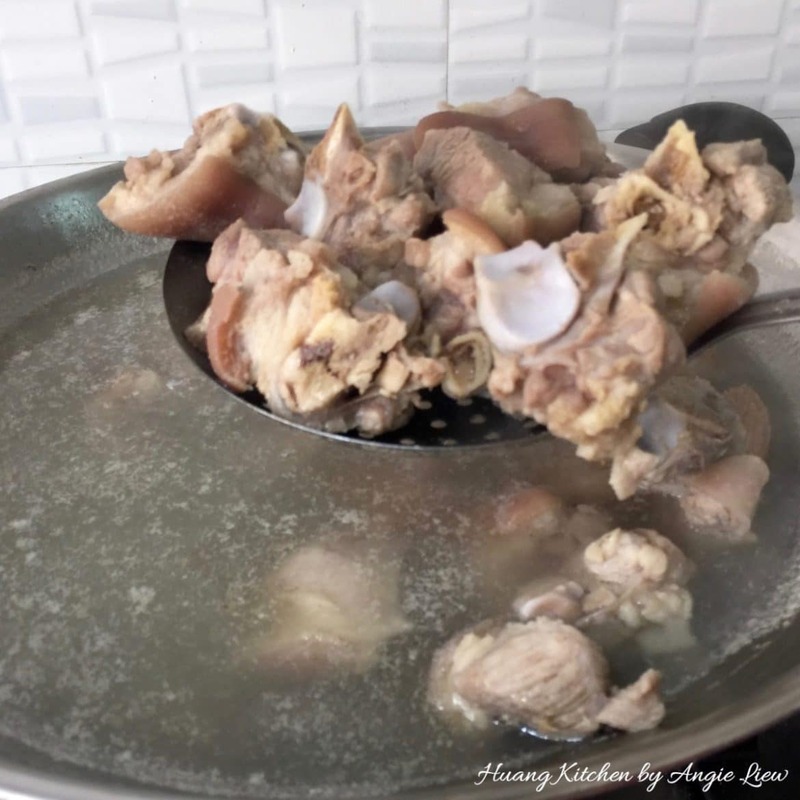 The natural collagen of pork trotters is very good for one’s health too. This dish is now commonly sold today in many chinese restaurants that sell authentic pork dishes. 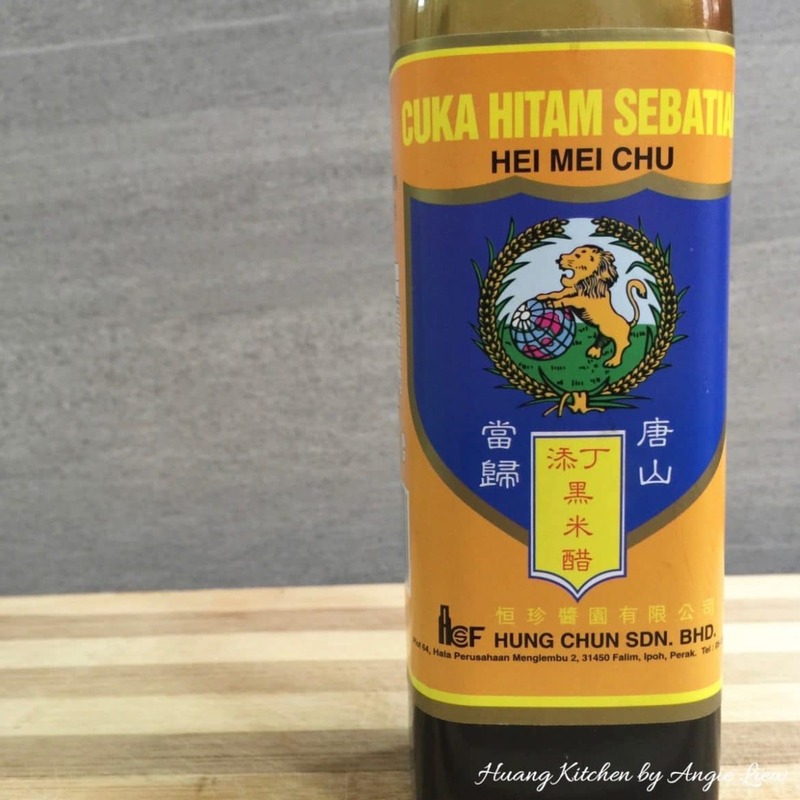 The main ingredients for a nice pot of this dish are just the pork trotters/pork knuckles, ginger and the sweet sour vinegar. 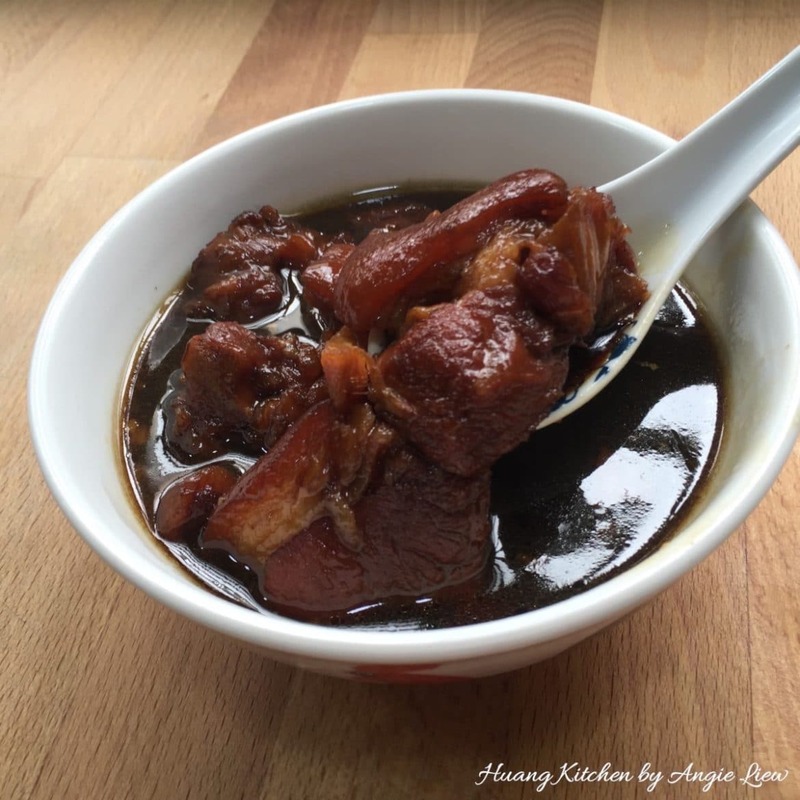 It’s full of ginger aroma and the pig’s trotters are so moist, tender and succulent after the slow simmering in the aromatic yet pungent sweet and sour black vinegar. Both old and younger ginger are used in this pork trotter stew to bring out the best flavour, as old ginger gives the heat and young ginger gives the gingery aroma.It’s a wonder how such an easy recipe can result in such a great flavourful dish! 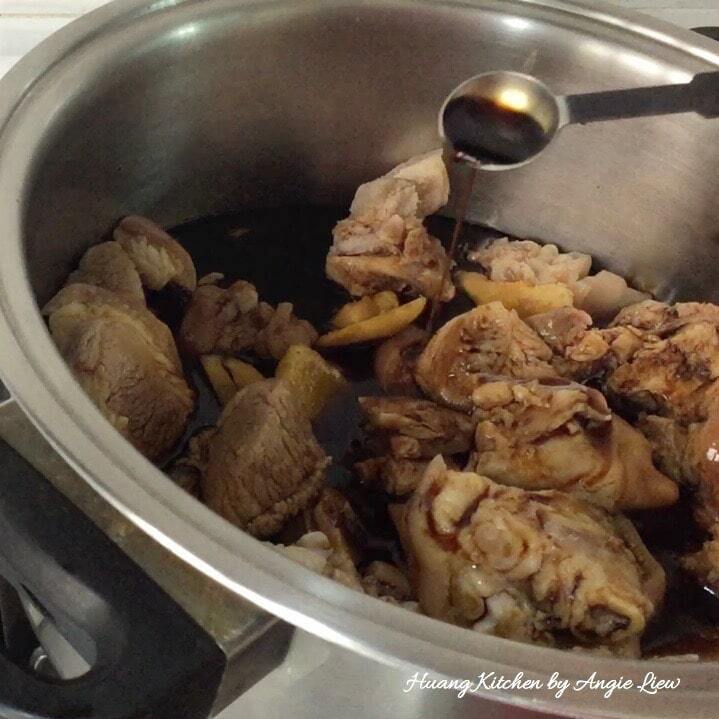 Every family has its own version of this pork trotter dish. My version is from my beloved mum’s recipe taught to me by my sister as I did not have the opportunity to learn from her. And it’s a SURE family favourite. 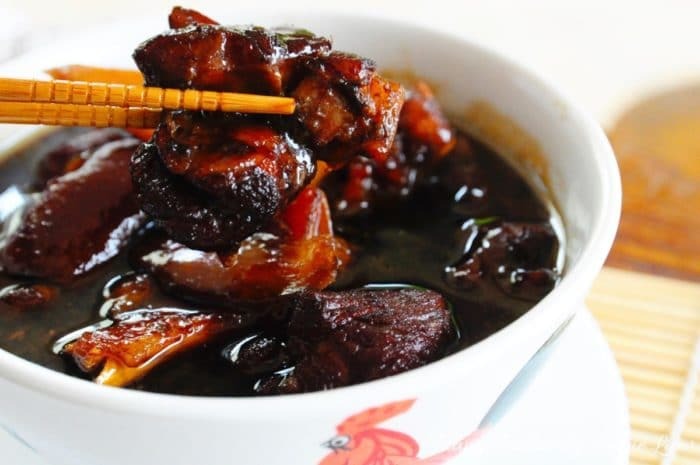 The perfect balance of sweetness, sourness and flavours from the black vinegar make this dish simply irresistible. 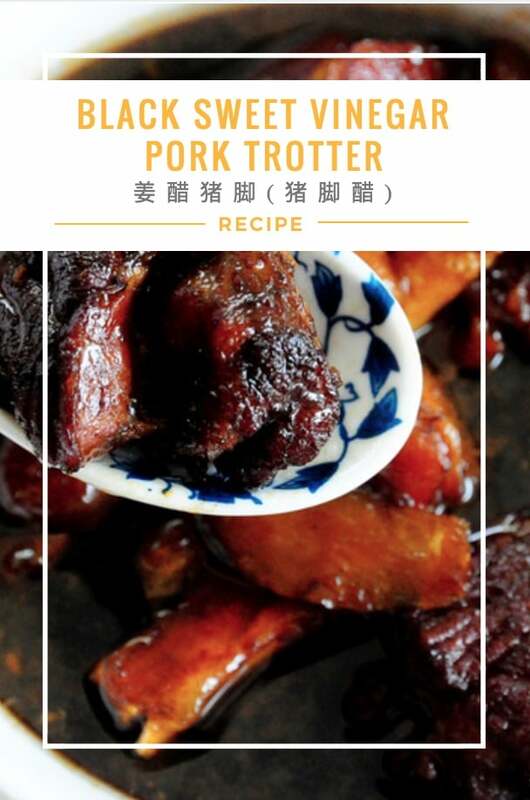 The main ingredients for a nice pot of this dish are just the pork trotters, ginger and the sweet sour vinegar. 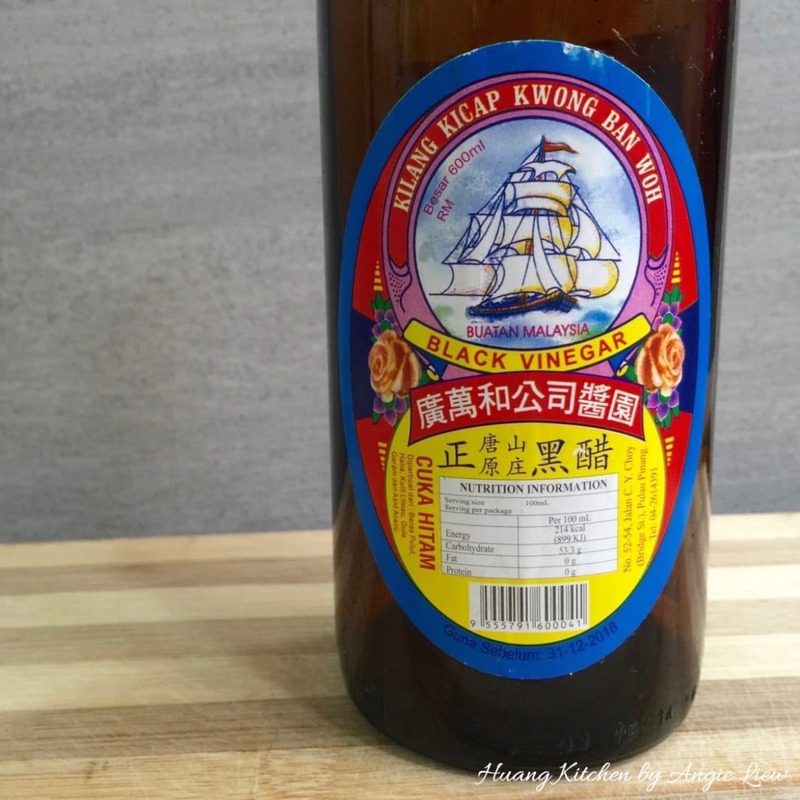 It's full of ginger aroma and the pig's trotters are so moist, tender and succulent, after the slow simmering in the aromatic yet pungent sweet and sour black vinegar. 2pork trotterscut across the bone into 3 cm pieces. 200gramsgingerold and young, cut into thick pieces. First peel the gingers and cut into thick slices. 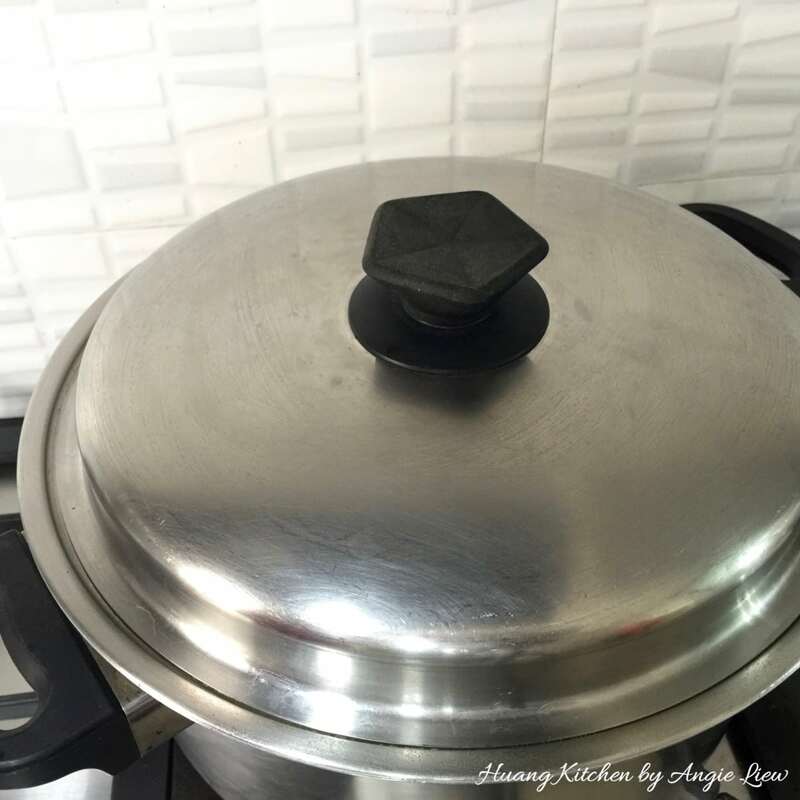 Bring a large wok of water to a boil. 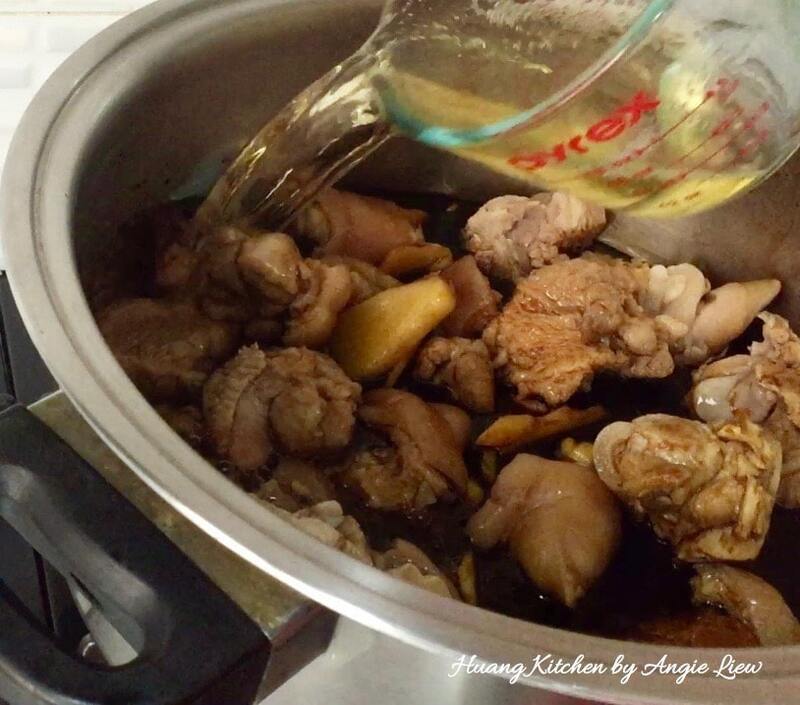 In batches, lightly blanch the pork trotters for 2 minutes to remove any impurities. Then wash the pork trotters in cold water. Drain and set aside. And we're ready to cook the dish! 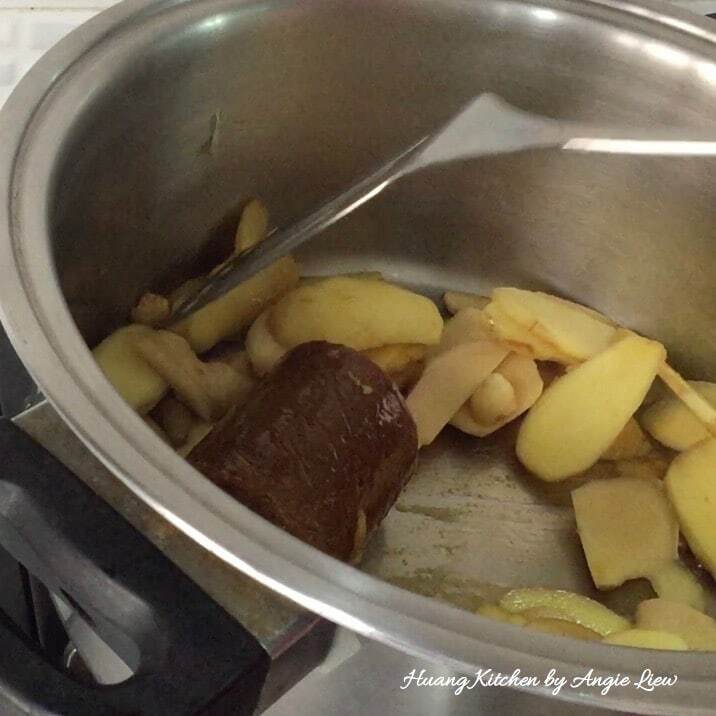 In a large pot and over low heat, shallow fry palm sugar and ginger slices till palm sugar has dissolved. Then add in sesame oil and saute until the ginger aroma is released. Next, add in the drained pork trotters and stir fry for 2-3 minutes until they are well coated with the sesame oil. Add in 2 cups or 1 bottle of pre-mixed (sweet and sour) Chinese black rice vinegar. Then pour in 1 cup or half a bottle of sweet Chinese black rice vinegar. Next, add in just enough water, making sure the meat is covered with liquid. Then, add in light soy sauce and bring the liquid to a boil. Cover with a lid and simmer for 30 minutes or until the pork is tender. Adjust taste accordingly and we're done! 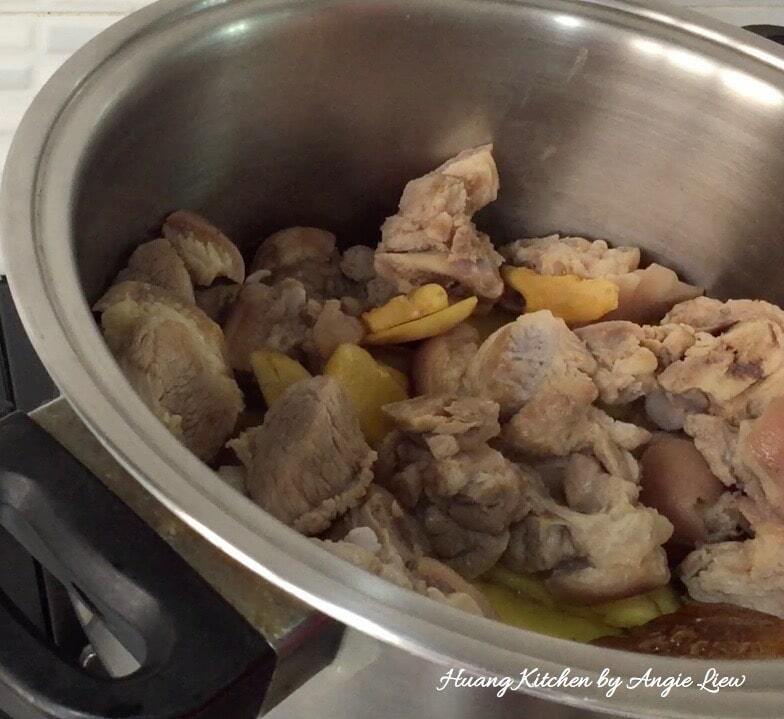 Leave the pork stew for at least 3 hours or more to allow the flavour to infuse into the meat thoroughly. Reheat before serving. Best to serve this pork stew hot with white rice. So Enjoy! 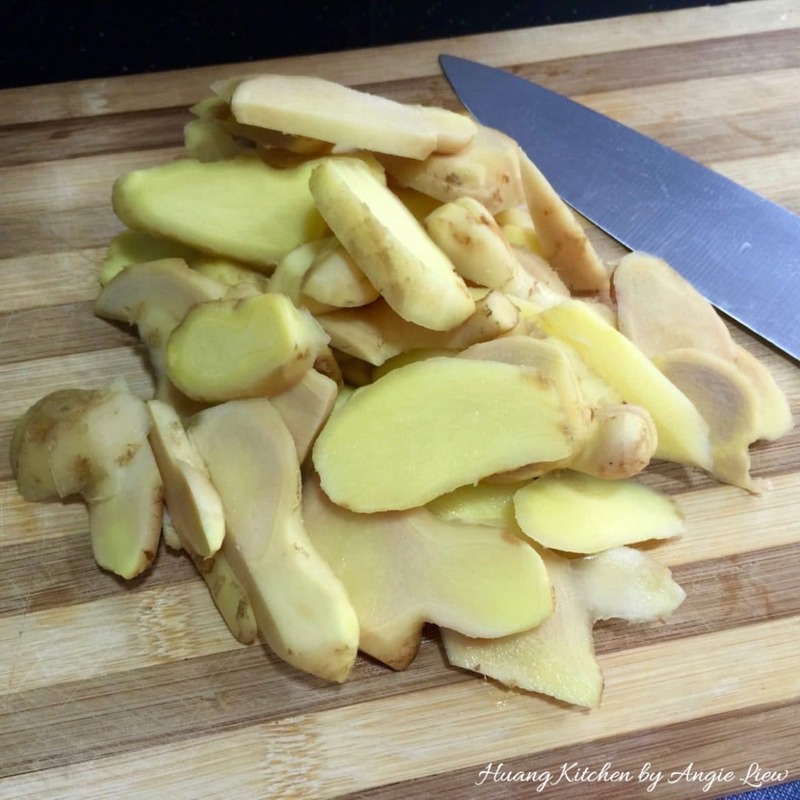 Old ginger tends to be quite tough in texture so if you prefer less hot taste and tender texture, then use young ginger. 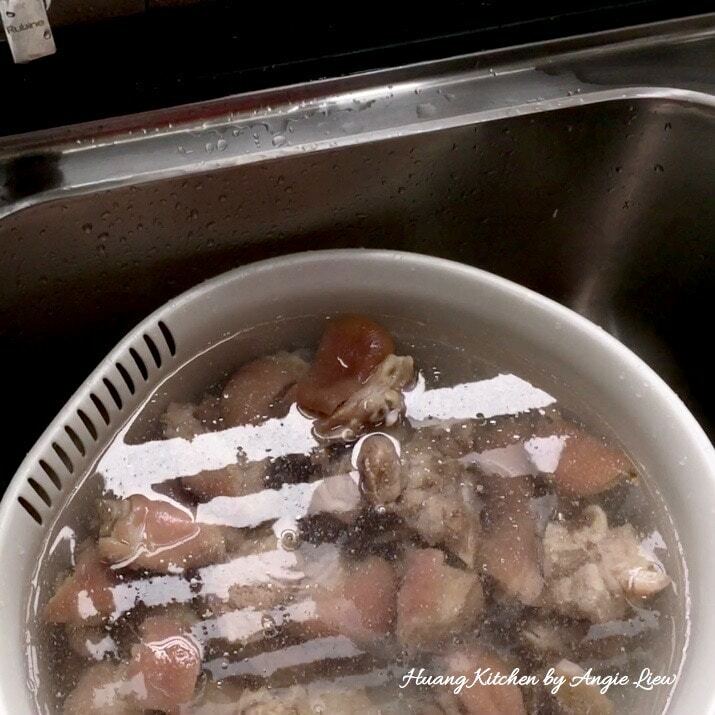 Do not cook the meat for too long with the vinegar. Otherwise, the stew will become sticky as the gelatine from the pork's skin melts. Its best to leave aside the stew a few hours, preferably overnight before serving to allow the flavour to infuse into the meat thoroughly and reheat before serving.